**I am truncating this post as it is quite long with lots of pictures. Please read on to see more! 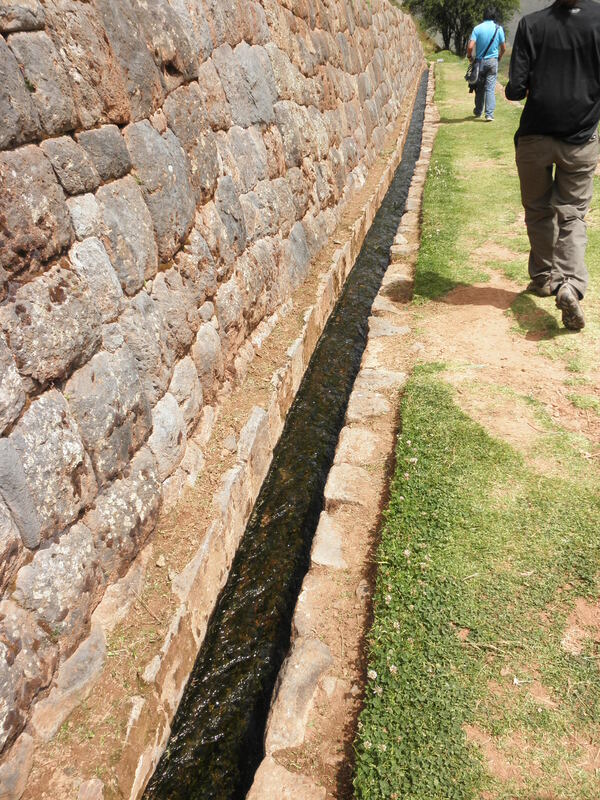 On Saturday the 26th, we had a free day in Cusco. We had planned to go to the orphanage, but the kids had a field trip, so instead we just had the day free to do as we wished. 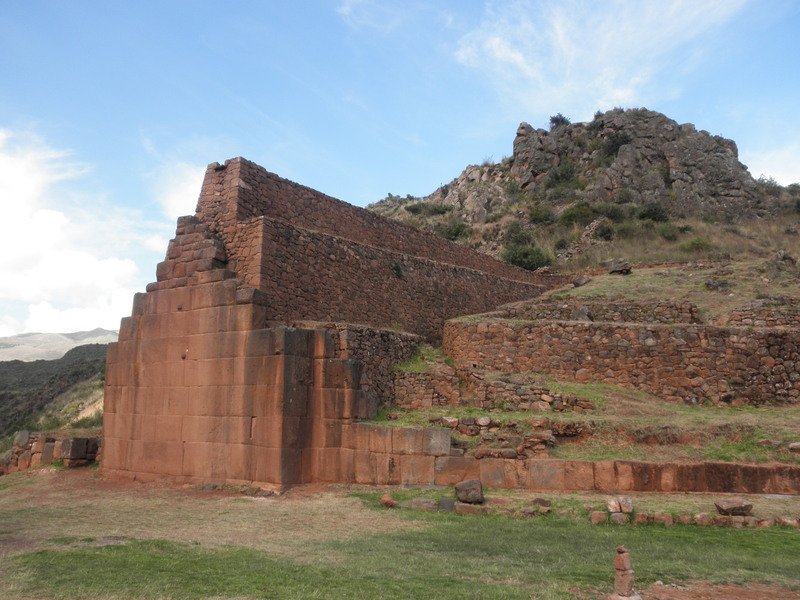 We started off the day at Dirección Regional de Cultura Cusco: Museo Historico Regional, which is a museum of Cusco’s history back to the creation of the continent (pre-humans). 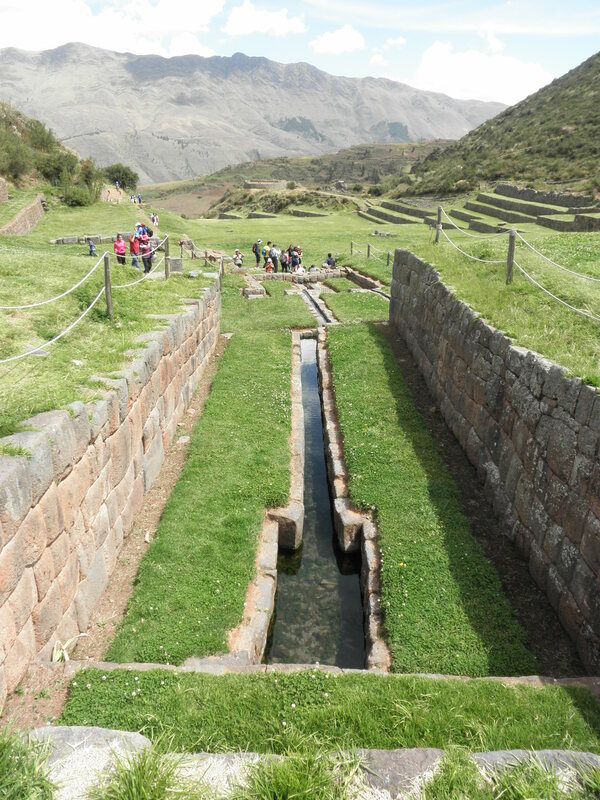 It was a really interesting museum and we learned a lot from the tour about the entire history of Cusco, including the pre-human era, the Pre-Incas, the Incas, the conquisition, up to more present times. 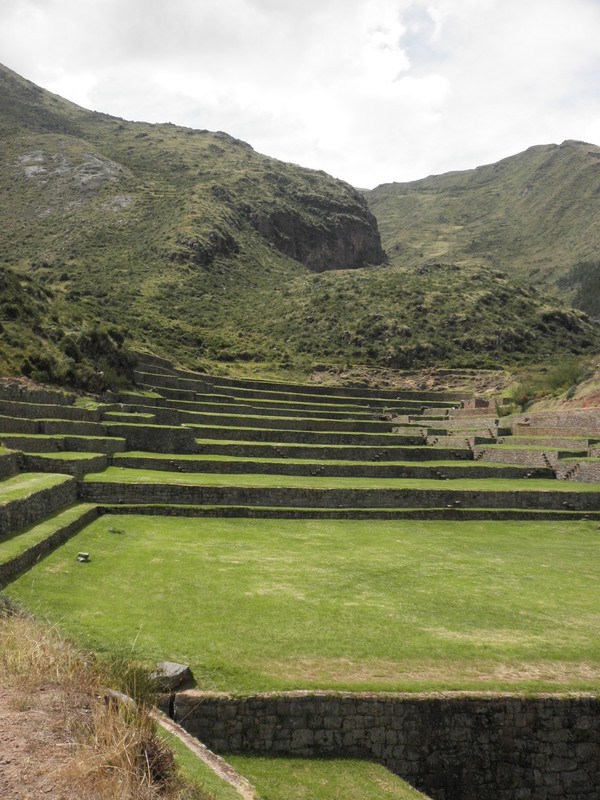 The museum is housed in the former home of Garcilaso del Inca, who wrote the first official history of the Incas, so there was also a room about him and his books (unfortunately, photos weren’t allowed). From there, we went to a restaurant that was a bit more off the beaten path. We ate outside and the food was pretty nice. 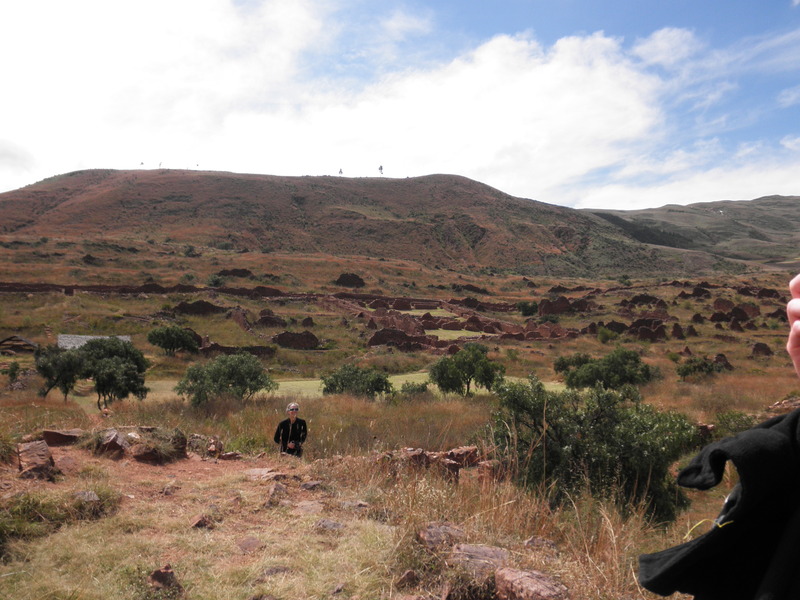 Our professor then went off to do her own thing and the rest of us walked to the artisan marketplace we had gone the weekend before to do some last-minute shopping because we were going to leave Cusco on Monday. After much deliberation, I finally decided to get a bag I had been eyeing all afternoon. On our way back to La Plaza de Armas, we stopped at a small ice cream place with wifi. We had all been craving ice cream and wanted to find wifi in order to contact our families and write our college blog. 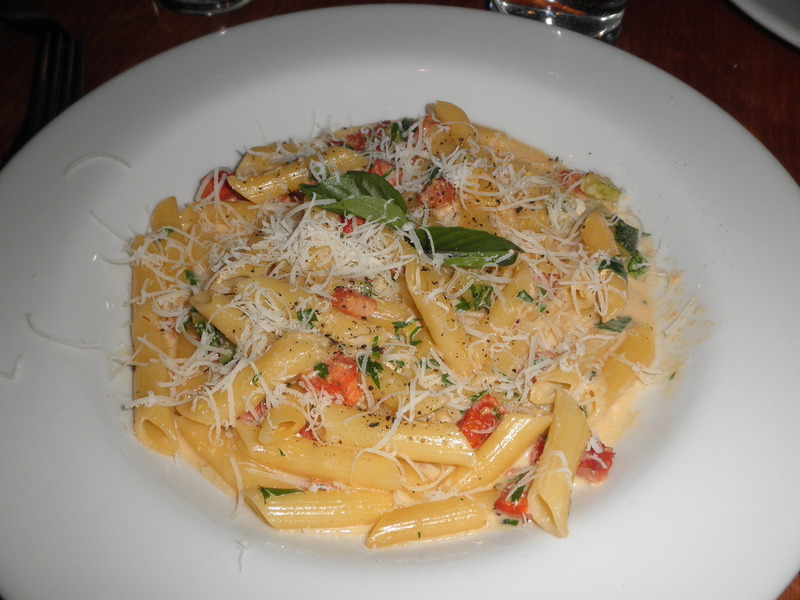 From there, we headed back to the plaza and ate at Ciccolina, an Italian restaurant. On Sunday the 27th, we took a day trip out to Pikallacta and Tipon, stopping along the way at a town where they make bread. 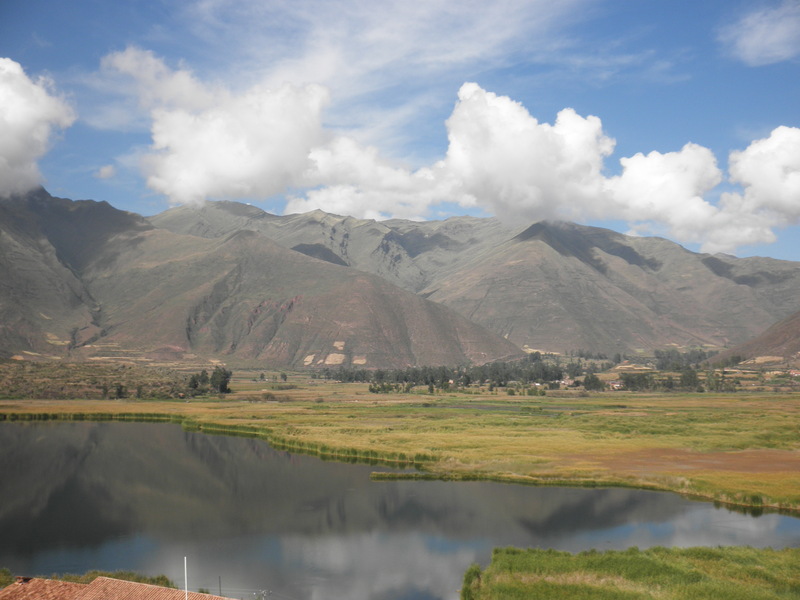 We went first to Pikallacta, stopping closes by first at Huancarpay, a small town with a small laguna (originally there was a large lake here, but overtime it has become much smaller. 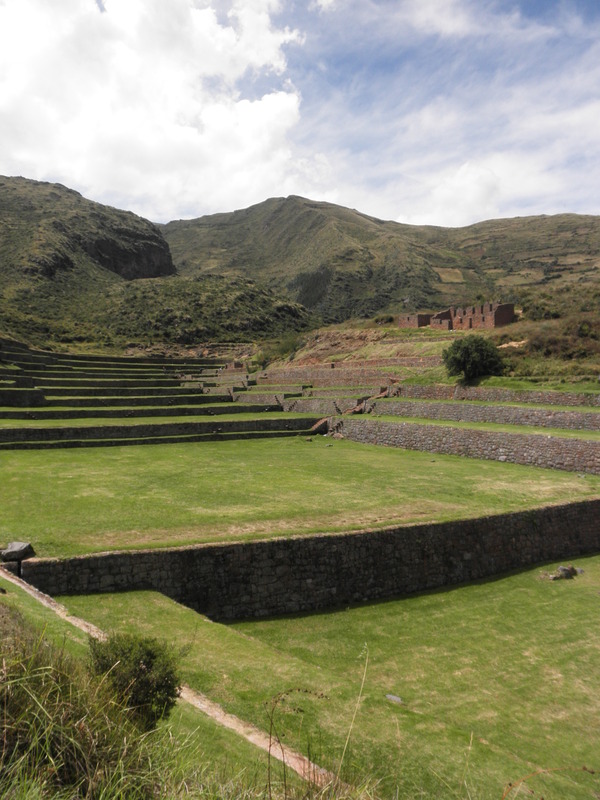 Pikallacta is an Inca site that was most likely first built by the Pre-Inca civilization, the Huwaris. 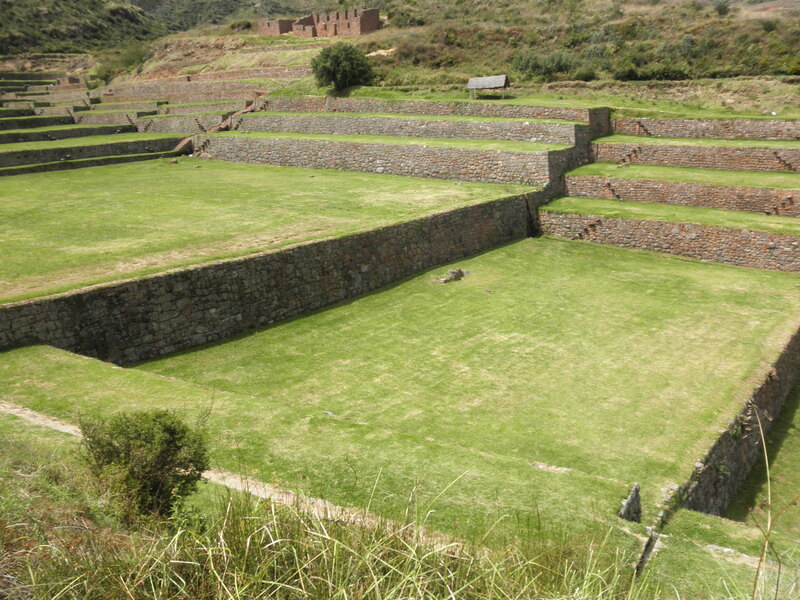 At one time, this was likely a very large city, but it is hard to tell because the majority of the site has been destroyed, first by the Spanish and then by the locals over the years. 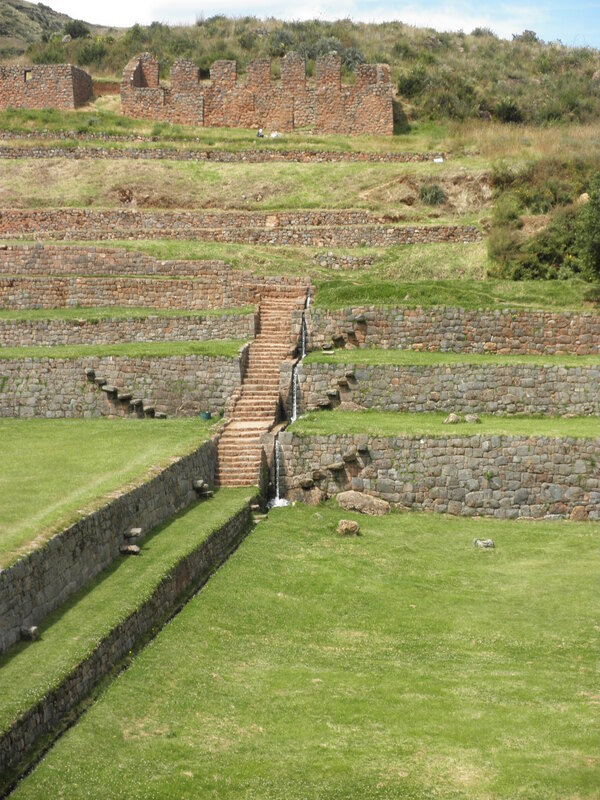 The entrance to the city is pretty far from the rest of the structures and in much better condition, but the main part of the city is mostly piles of rocks. 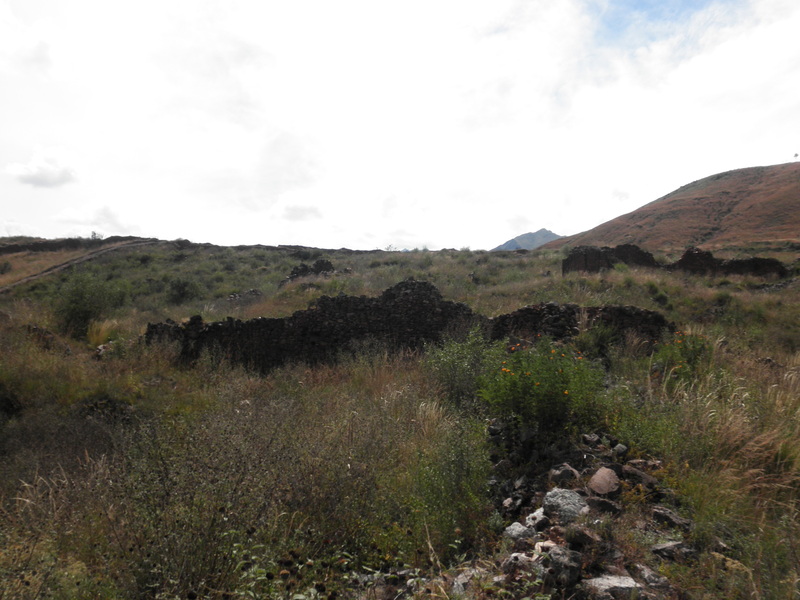 The walls of the roads are still quite visible and it is possible to tell that at one point, this was a very well-built city. 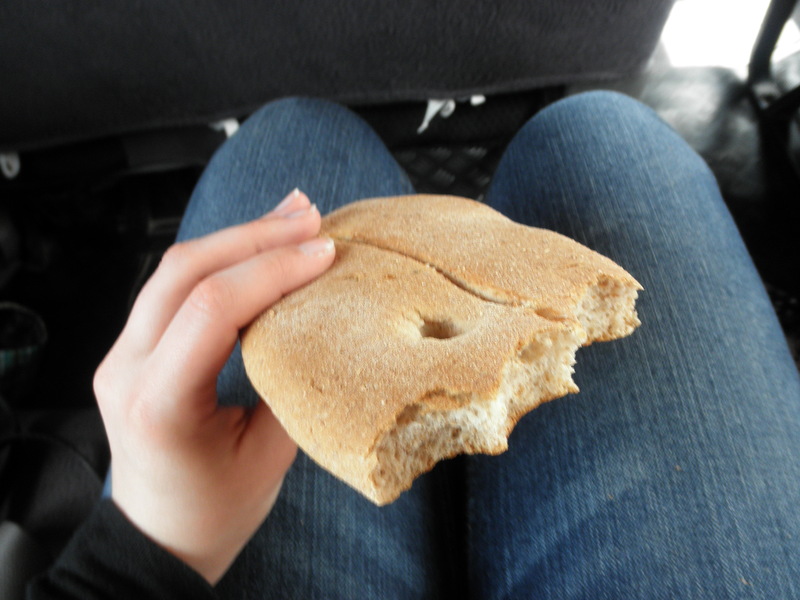 On our way from Pikallacta to Tipon, we stopped in a small town where they make bread, which is called chuta. They use huge ovens and make the round loaves every 1-2 days. 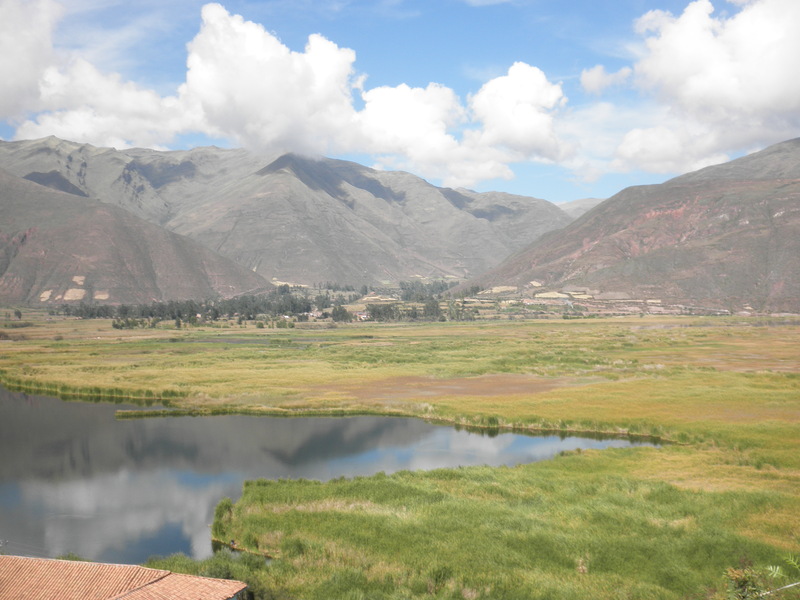 We purchased some of the really large loaves to bring back to Cusco as a gift for our host family, and also bought a bag of molettes, smaller loaves, for ourselves. It was delicious! 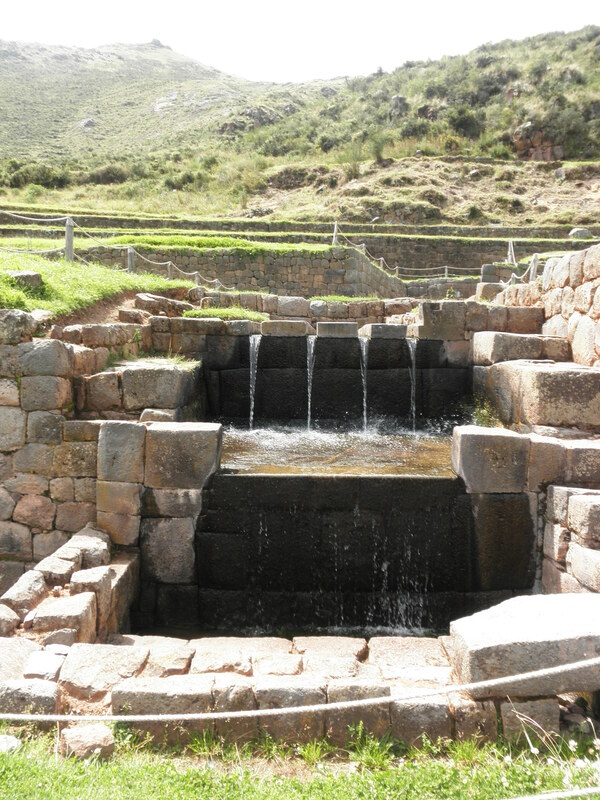 Tipon was also likely originally built by a Pre-Inca civilization, but much of what can be viewed today was built by the Incas. 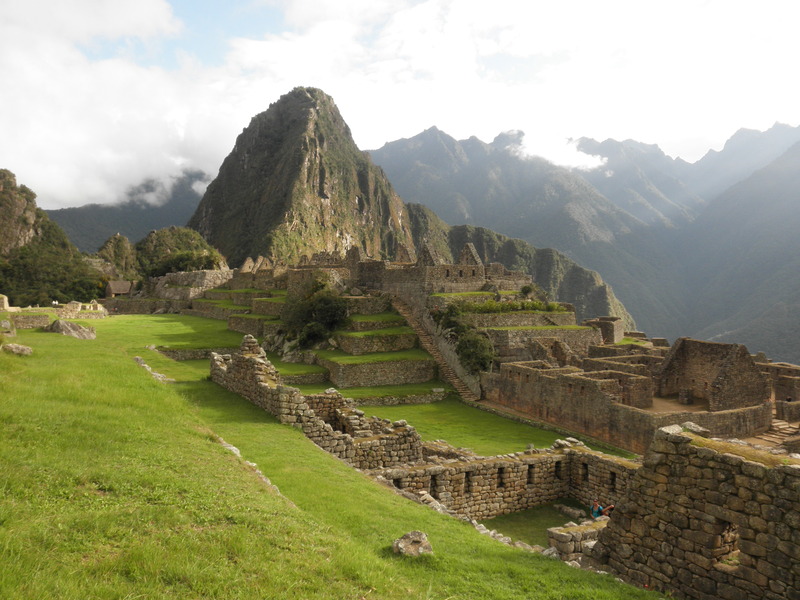 This was probably one of the more spectacular of the Inca sites we visited while in Peru. 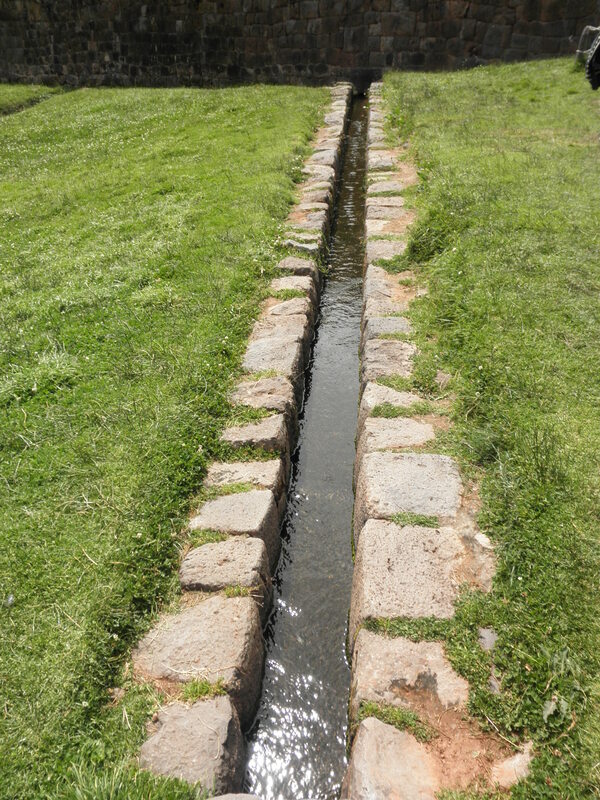 There are huge agricultural terraces and an immense network of irrigation canals, both along the terraces and under the ground, most of which are still functioning today. 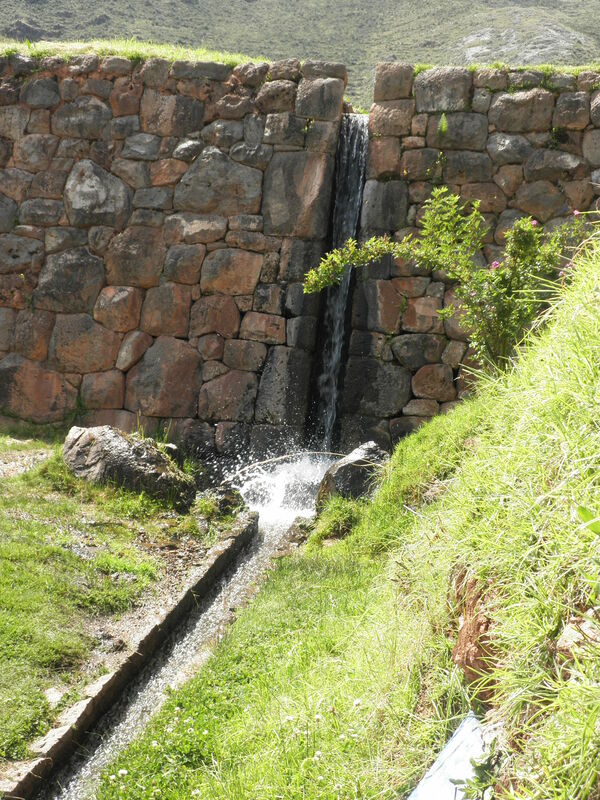 There is also a large fountain made of huge, perfectly-cut stones. 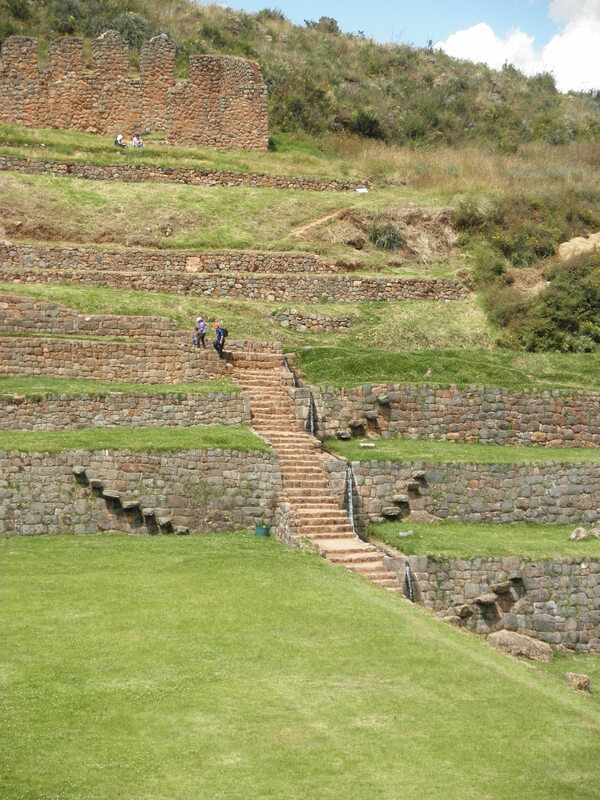 Original Inca roads can be seen heading up the mountain. 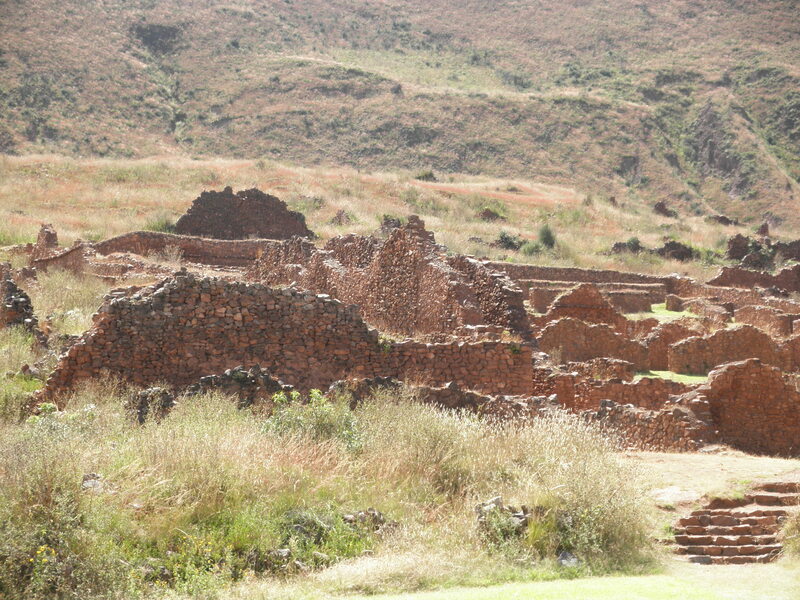 The site was likely chosen because it is impossible to see in the valley below. 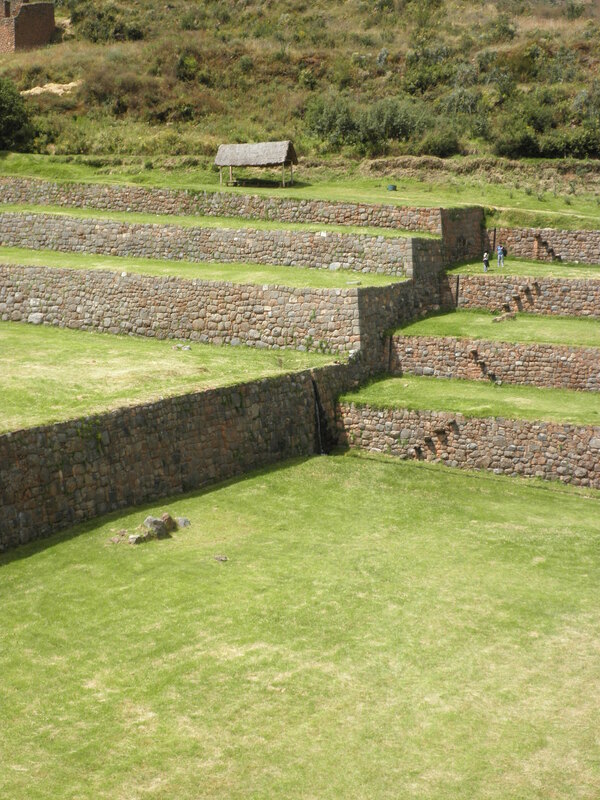 Because of this, the site is largely intact because the Spanish never found it. 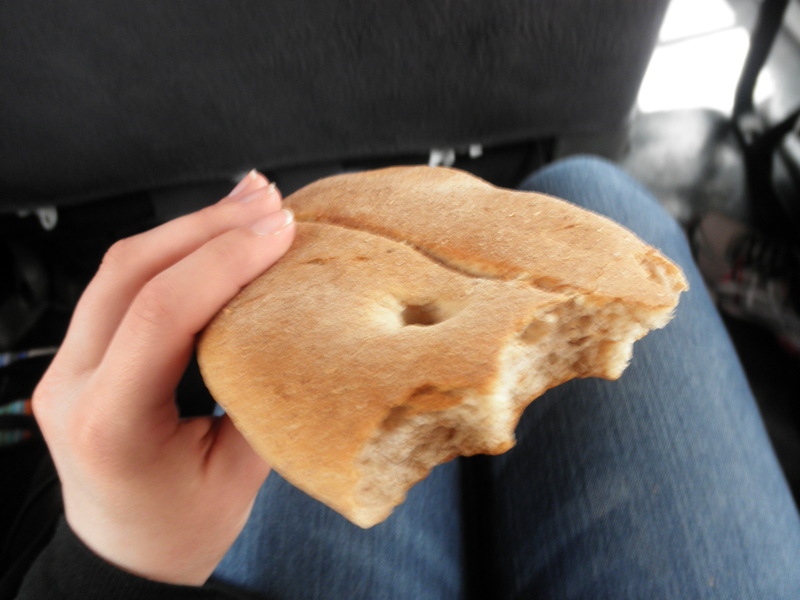 After walking around the site, we ate empanadas for lunch in the area just outside the site. 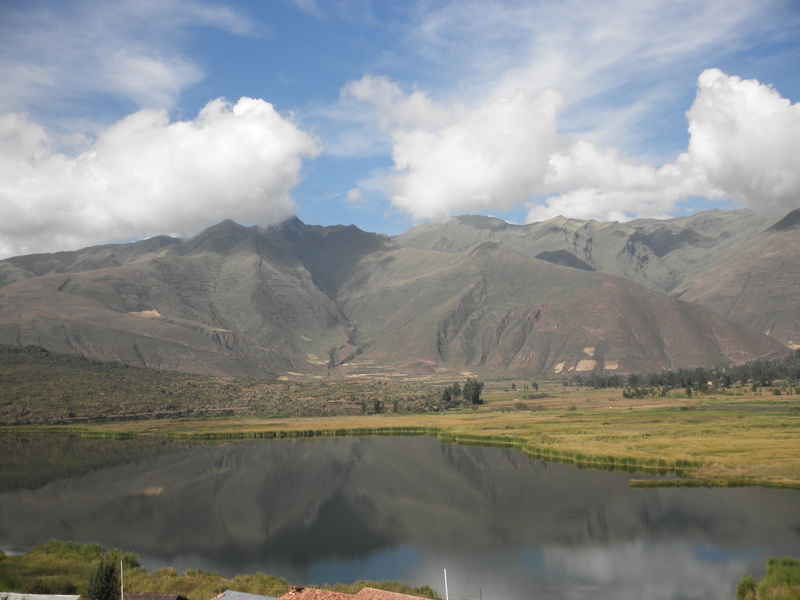 We then headed back towards Cusco. 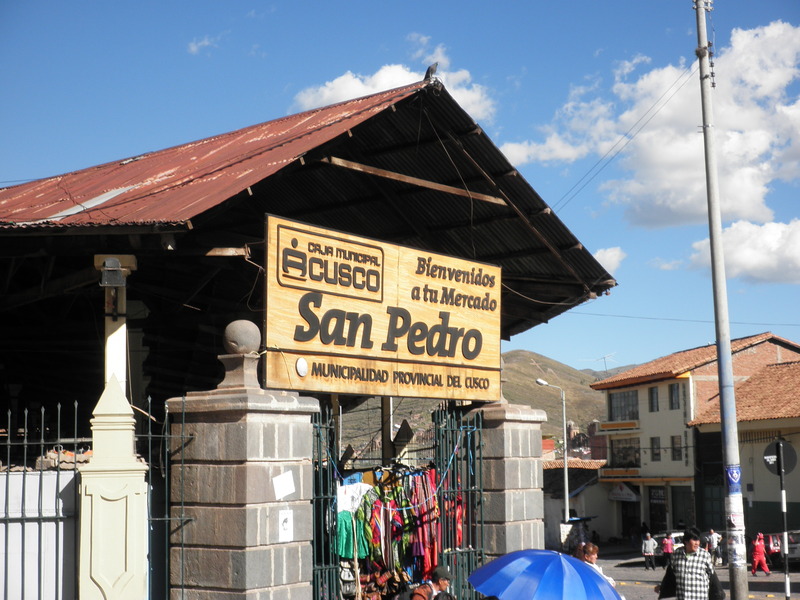 For the rest of the afternoon, we we free to do as we liked, so we went to the large open market of San Pedro, where we were able to view all of the various foods sold there, along with artisan goods. I bought a sweater there (which I later trader with another student). We then found medicine for me (I had a pretty bad cold/flu for over a week while in Peru), and then two of us relaxed in a smaller plaza behind La Plaza de Armas while the others went to the Chocolate Museum. We then headed to dinner at Incanto, which was my favorite of all the restaurants we went to. 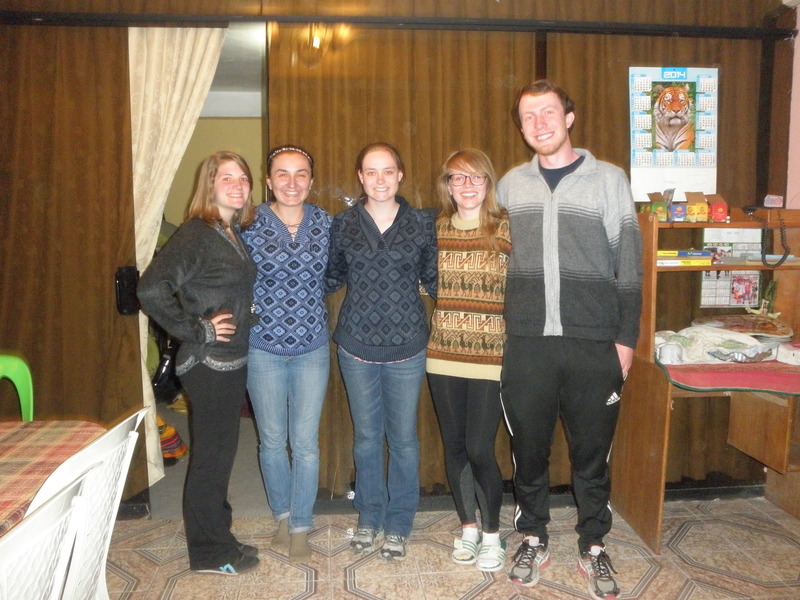 After dinner, we headed back to Mery’s house, where we made cards for Mery and her family, ate some sweets and packed our bags to leave Cusco the following morning.